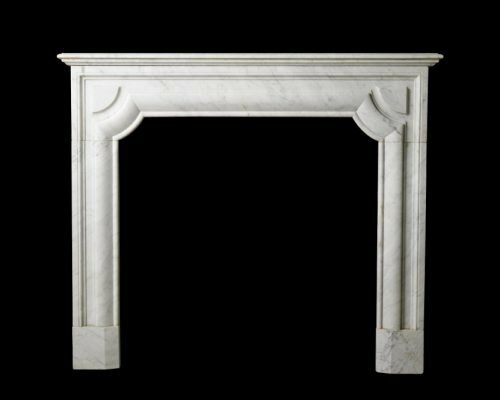 A 19th c. Louis XVI style chimneypiece with console jambs in Carrara marble. 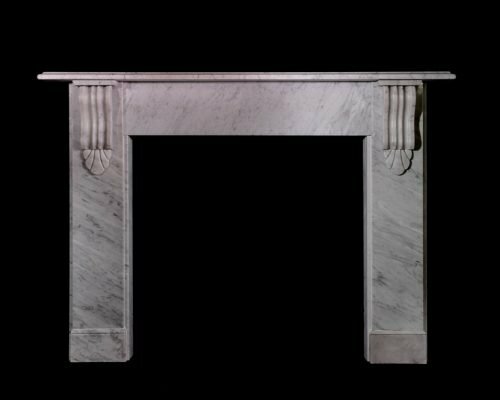 Late Victorian c 1890 Carrara marble Corbel. 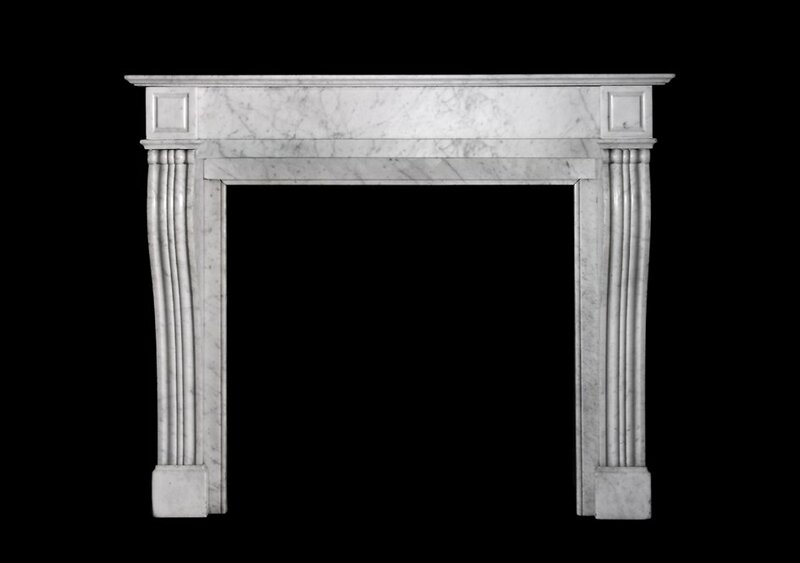 19thC French Napoleon III mantel carved in Carrara Marble. 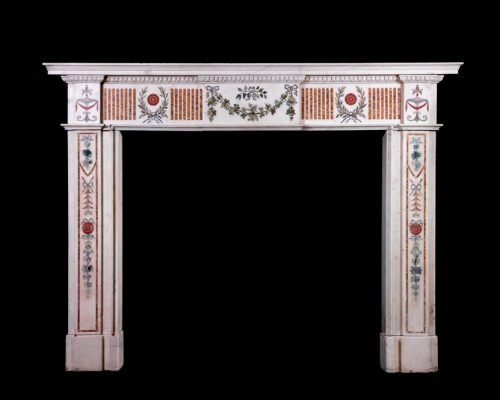 A vibrantly coloured late 18th century Irish chimneypiece inlaid in the manner of Pietro Bossi with carved mantel shelf c.